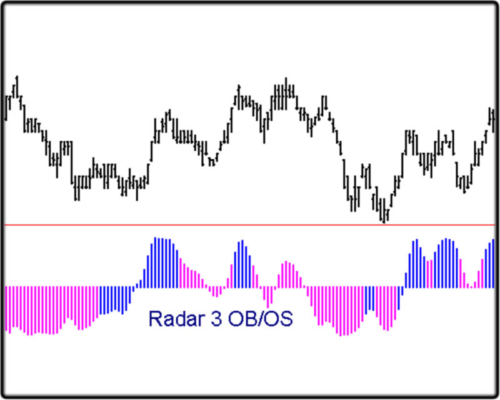 A versatile volume analysis indicator which helps diminish distortion from extreme volume spikes and identifies different degrees of volume intensity by displaying standard deviations of an average volume. Includes color-coded volume divergence analysis as well. Please click here for PDF documentation on this tool. 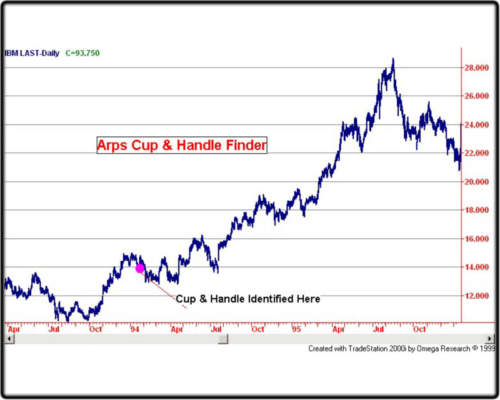 This study identifies a “Cup With Handle” formation on any chart in any time frame. The pattern is so named because, when viewing a price chart, it appears roughly like a cup. The price rises to a peak and then falls, forming the left side of the cup. From there the stock trades sideways for some time, then rises to form the right side of the cup. After completion of the cup, before the stock breaks out to new highs, the price often hits resistance and pulls back a little. This pullback forms what looks like a handle on the cup. 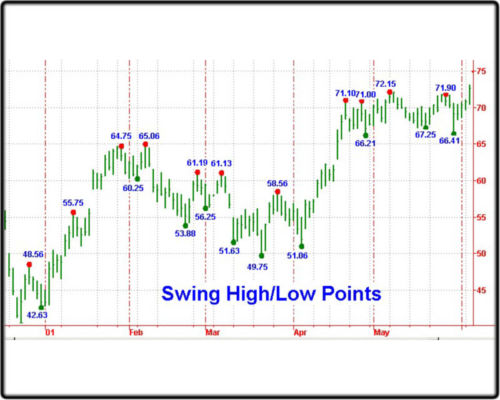 The peak at the right side of the cup defines the buy or breakout point, referred to as the “pivot price”. 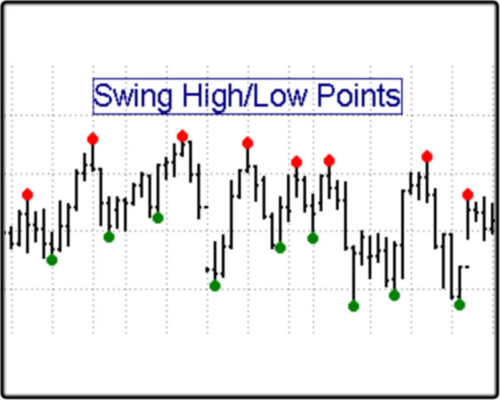 Plots ShowMe dots above swing highs and below swing lows of a given strength on any oscillator for which a User Function exists.